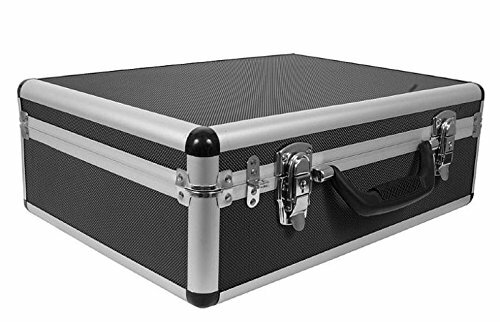 This utility brief case can be used to carry music gear or other items that need that need protection or custom-fit attention. Safely carry your microphone, headset, zoom recorder, headphones, stomp boxes, or other gear to your next gig. Add a small padlock and you've got complete protection. The case includes fully-perforated foam blocks that can be customized to shape around the equipment you need to protect and transport. For over a decade, OSP has been providing quality cases for affordable prices. Whether you're rolling into a different arena every night, setting up and tearing down a portable church every Sunday, or simply taking your amp across town for this week's gig, you'll find an OSP case to be a perfect companion for keeping your gear safe during transport.